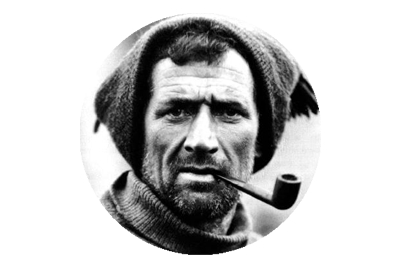 Tom Crean was among the 12 man depot-laying team who were tasked with putting in place a series of supply depots, stretching from Safety Camp at the edge of the barrier, down to a point at 80º S. The depots would be accessed by Scott and his Polar Party when they set off for the Pole the following Spring. The group of 12 would also be accompanied by 8 ponies and two dog teams. The mission had begun on January 27th, and progress was slower than anticipated, largely due to the ponies lack of performance, as they struggled on the ice. On the 4th of February, Corner Camp was established 40 miles from Hut Point, but at this stage the parties progress was further delayed by a blizzard, which held them up for three days. Shortly afterwards Scott sent three of the weaker ponies back, but two would die en route. Scott became increasingly concerned that the rest of the ponies would die, should they not turn back immediately, and at 79º 29′ S, he decided to lay One Ton Depot. Oates had argued that they should have continued and established the depot where originally intended at 80º, and use the ponies for meat, as they collapsed. Scott however overruled him and One Ton Depot was laid more than 30 miles North of its planned position. It was a decision that would have fatal consequences on the return march from the Pole, and as it transpired, only two of the eight ponies who had started the trip would survive. Some of the Terra Nova Expedition’s Siberian ponies resting near some supplies. After reaching the South Pole, but losing out to Roald Amundsen in the race to be first, Scottt and his team began their return trip on January 19th. 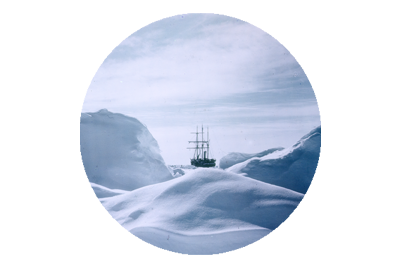 Initially the team made steady progress but slowly the effects of the cold and scurvy set in. Having crossed the Plateau and reached the upper Beardmore depot , they then had a five day march which their rations barely sufficed. 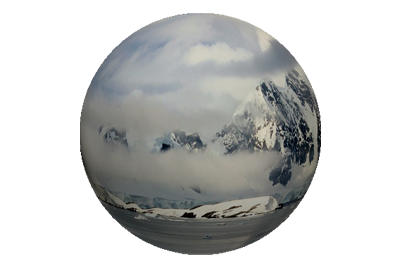 In accordance with the scientific objectives of their expedition they stopped to collect around 35 pounds of geological specimens, which they now had to haul on their sledge. They barely made it to the next depot and at this stage Edgar Evans’ condition was rapidly declining. On the 4th of February he had the added misfortune of falling into a crevasse along with Scott. It is thought that Evans suffered a serious concussion by badly hitting his head. Scott subsequently described him in his journal as being ‘broken down in the brain’. By February 17th Evans struggled desperately to keep up with the other four men, but he was simply beyond that at this point. After falling behind the team, they retraced their steps to retrieve him, but found him to be almost delirious, on his hands and knees in the snow. He was hauled back to the tent on the sledge but sadly Edgar Evans died shortly afterwards. 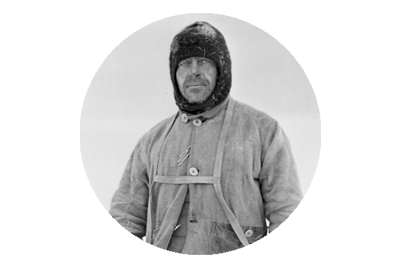 Extracts from the Journals of Robert Falcon Scott.